Skip to the last few paragraphs if shopping is not a reason for you to visit Ashbourne. Six coaching roads intersected in Ashbourne in the 18th century, on route from London to Carlisle, so Ashbourne has been a great place to trade for at least 200 years! Many of the beautiful buildings from the 18th century remain and, after the Victorians added their buildings and developments, not much changed. As a result, there are now over 200 listed buildings in the town. Ashbourne has worked hard in recent years to excel at its retail offering. As well as a few national chain stores (Joules, WH Smith, Costa, Fatface), there are a wealth of independent shops offering a personal service and a feeling that customers matter. Many of the independent shop owners source great quality, locally produced goods and most are trying to offer products that differ from the recognisable high street brands. Many offer fair trade products, the town becoming a fair trade town more than 10 years ago. There is a sense that the shops are complementary rather than competitive so there is much to keep you interested. There are just a few empty premises and it feels like Ashbourne is bucking the national trend. The high street is buzzing, there’s a positive vibe and a real sense of community. Many shops play the same local radio station so the shopping experience can feel almost seamless at times. The shops are clustered around the historic cobbled market place and along the main streets of the town. Hidden alleys and yards are a pleasure to explore. The town is big enough to offer choice but not so big that you are in competition with hordes of other shoppers. Don’t be put off by dowdy exteriors – interiors are generally contemporary and welcoming. Indulge in some retail therapy, why don’t you? Antiques, art, bakeries, cafes and restaurants, fashion, gift shops, jewellery, speciality food and drink, sweets. What else apart from the shopping? If shopping is not your thing or you have some time to spare, there is also the parish church of St Oswald, with its imposing 212 ft spire, to visit. Take in the wonderful architecture that dates from the 16th century and some of the 200 listed buildings in the town. The Memorial Gardens are also worth a quick wander around. There are free guided tours of the town twice a week from Easter to end of September (from the visitor centre). If you get your timing right, there is also a vibrant annual arts festival or Shrovetide football to witness. Afternoon tea is a quintessentially English custom started in the early 1800s by the seventh Duchess of Bedford, Anna Russell. At that time, it was normal to only eat twice a day with dinner being late. The Duchess didn’t like the hunger pangs that she was getting mid-afternoon so she started the habit of taking tea with a snack. She invited friends to join her, it became fashionable (we can understand why) and the tradition was born! 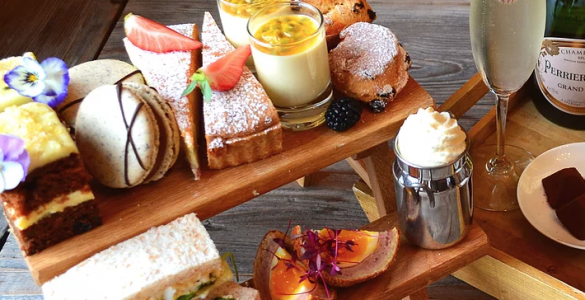 Where does the phrase ‘high tea’ come from? The upper classes were served tea on low tables so became known as ‘low tea’. The middle and lower classes generally had their tea a little later and it generally took the place of dinner. Because it was served at the dinner table it became known as ‘high tea’. It generally included savoury items. 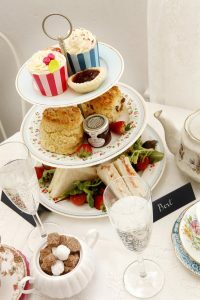 The term ‘high tea’ has become synonymous with afternoon tea, particularly overseas. 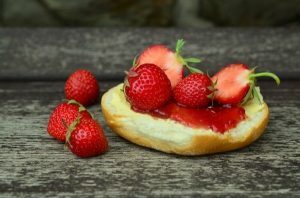 Scones – jam or cream first? Scones were only included as part of afternoon tea in the early 1900s. Whether you out the jam on first or the cream largely depends on where you are in the country. If in Cornwall, then the jam goes on first, if in Devon, the cream! Tea – milk first or tea? Historically, milk was put into the cup before the tea to protect the fine porcelain china. Where did the tea bag come from? The tea bag was invented by accident. In 1908, an American tea merchant would give his customers small samples of his teas in silk bags. One customer thought that you were supposed to immerse the whole thing rather than extract the leaves from the bag! It’s estimated that we drink a staggering 165,000,000 (that’s 165 million!) cups of tea each and every day in the UK. If you are thinking blue porcelain with white motifs when you think of Wedgwood then its time to think again. There is just so much more to know! 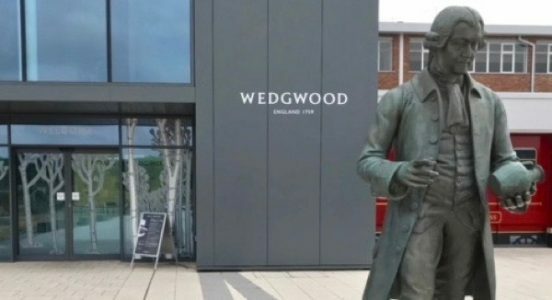 Josiah Wedgwood – what of the man? Josiah Wedgwood (1730 to 1795) was not the first potter in his family but he was the most successful. He was innovative, diligent, an incredibly successful businessman and probably a bit of a perfectionist. He was also a marketing genius of his time, pioneering direct mail, money back guarantees, illustrated catalogues and travelling salesmen, free delivery and ‘buy one get one free’. His early customers included Queen Charlotte, queen to George III which sealed his reputation as a producer of the highest quality porcelain. What he did so well, though, was to also produce a cheaper version that he could sell to the aspiring middle classes. Wedgwood and some of his business friends commissioned the building of the Trent and Mersey Canal. Having inside knowledge as to its route, Wedgwood then built his factory right alongside it. There were certainly fewer breakages when transporting the goods by water rather than by packhorse! Josiah’s daughter, Susannah, married Robert Darwin. Their son was Charles Darwin! The great-granddaughter of Josiah and niece of Charles Darwin gave birth to Ralph Vaughan Williams, the composer. 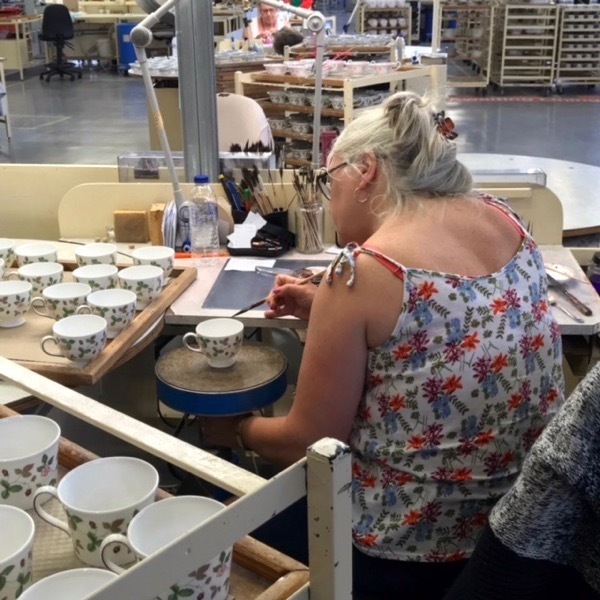 Wedgwood remained a family run business for more than 200 years, until the late 1960s. We cannot talk about Wedgwood without a brief encounter with jasperware, that iconic unglazed, coloured stoneware with white figures in relief, pressed on to its surface. It took three thousand experiments before Wedgwood was, at last, happy with his efforts to perfect the porcelain. 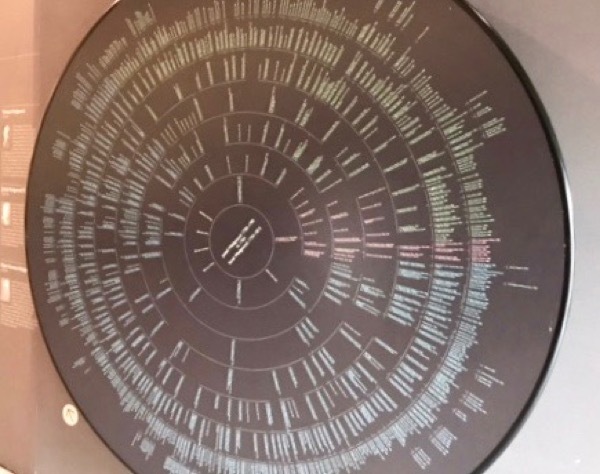 You can see just a few of the attempts, meticulously catalogued, in the Museum today. Jasperware is named after the natural stone jasper, which it resembles in its hardness after firing. The blue actually comes from cobalt oxide and the colour only comes out after firing. Wandering around the Museum, you see very little of the famous jasperware. At this point, you realise how diverse the product ranges have been over the years. The company’s fortunes have fluctuated in recent decades but are now assured. By selling off part of the estate for housing, £34m has been invested in the business, new museum and visitors centre. The future looks rosy. 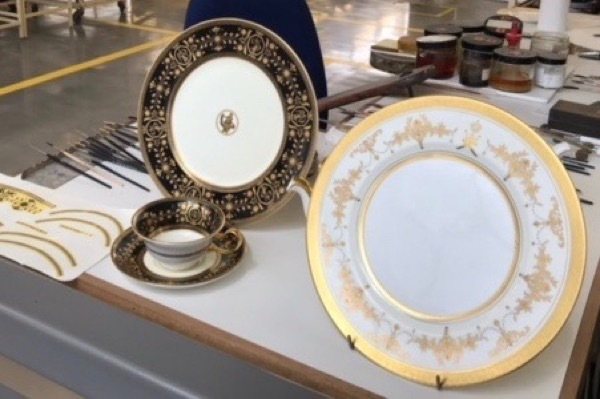 Since the 18th century, the Wedgwood family have been collecting samples of their work and lives. The collection of 80,000 works of art, ceramics, manuscripts, letters and photographs are now owned by the V&A and on long-term loan to the site near Stoke-on-Trent. A small part of the collection is beautifully displayed in the Museum. Entry to the museum is free. At the fabulous new visitors’ centre, you are also able to take a factory tour and talk to the people who work there. It’s also possible to have a go at ‘throwing’ a pot (great fun!). 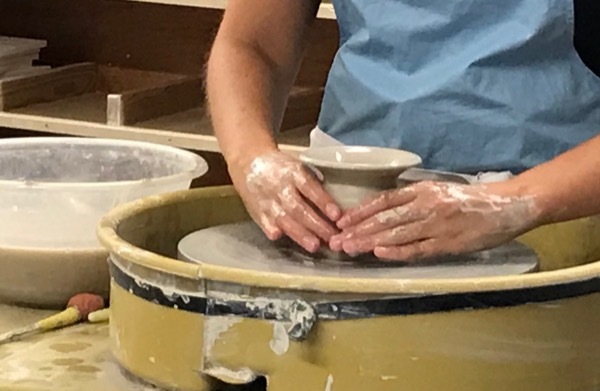 You can create a design for an item of porcelain (which can be transferred on to the real thing and posted home to you). 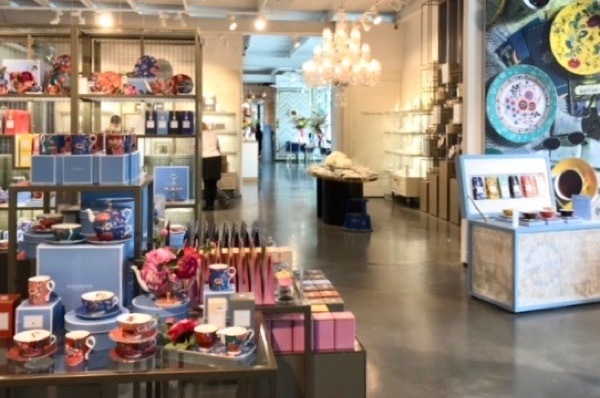 There’s also a fabulous shop which is inspirational to browse around, a factory outlet and restaurant. 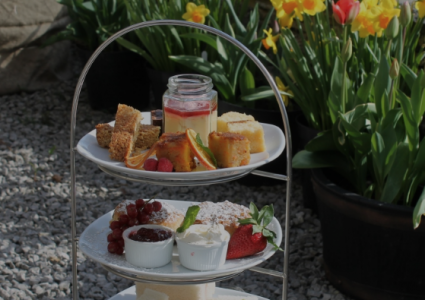 Don’t miss out the beautiful tea room and conservatory, which serves the most delicious afternoon teas (all served on stunning Wedgwood china, of course). A fun, informative and very indulgent day out! 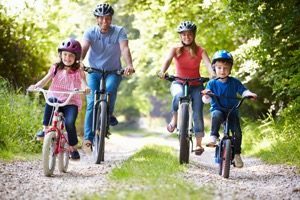 For family friendly cycling a bike ride needs to be reasonably flat and as safe as possible so that Mum and Dad can relax too (as far as possible anyway!). There are several starting points for the Monsal Trail but the closest and probably the most accessible is the Hassop Station car park. The whole trail is 8.5miles long (17 miles if you go all the way to both ends and back). If you want to do it all, I’d suggest going left to start with and making a quick 1 mile dash towards Bakewell. If you’re not bothered about completing the whole length, then go right on the trail to start. The scenery is immediately interesting and varied and it will not be long before you are plunging into the darkness of one of the four tunnels re-opened in 2011. The tunnels are lit during daylight hours but the light is very subdued. With that in mind, it may be useful, but not essential, to have lights on your bikes. After the first tunnel, you will be atop the famous Headstone Viaduct (usually called the Monsal Dale Viaduct). There was much controversy when it was first built in 1863. You can imagine that many people thought the valley completely spoiled by its arrival. It is hard to imagine the landscape without it now, however, and, indeed, there has been a preservation order on the viaduct since 1970. Make sure you stop for the wonderful views up and down the River Wye. Shortly after the Viaduct, you’ll see Cressbrook Mill, a cotton mill built for Sir Richard Arkwright in 1783. The current building was built in 1812 after the first mill was destroyed by fire. Manufacturing only ceased here in 1965. The Mill has now been turned into apartments. A few miles on is Litton Mill, a cotton spinning mill that became well known for the ill-treatment of the children that came to work there. Carsington Water is the 9th largest reservoir in England and when full can hold an amazing 7,800 million gallons (or 35,412 megalitres!) of water. The reservoir was opened in 1992. It takes water from the River Derwent during the winter and then slowly releases it back during the summer months. There is a wonderful 8 mile gravelled track around the reservoir which is great for cycling or walking. It is a rolling path so you or your children may need to get off in one or two places. Some descents can also be a little slippery at times. 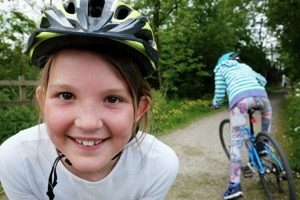 There are a couple of points where the cycle path crosses access roads so do watch out for little ones at those points. There are a number of bird hides around the reservoir which might be an ideal opportunity to stop for a break. On your return to the car park there’s a great cafe with a view across the water. The Tissington Trail follows the course of the London and North Western Railway, between Ashbourne and Buxton, that first opened in 1899. Along with many other lines, it closed in the 1960s and remained unused until the National Park Authority bought it for use by walkers and cyclists. Along the same lines as the Monsal Trail, I’d always recommend that you are heading downhill for the second half of a bike ride. 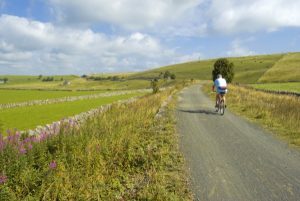 To achieve this on the Tissington Trail, you’ll need to travel to either Asbourne, if you want to do the Trail’s entire length, or perhaps Tissington itself, to start. The trail is completely off road which is a bonus, however, the trail does follow quite an elevated route and can be a bit exposed to sun and wind and rain – consider yourself warned! There is a restored signal box at Hartington Station which now serves as an information center, open at the weekends during the summer. The Manifold Valley trail follows the route of the disused Leek & Manifold Light Railway from Hulme End to Waterhouses. The railway was originally used to transport milk down the valley for onward transportation to London. It also served tourists visiting the valley’s beauty spots. The scenery along the Manifold Valley trail is varied, from towering rocky outcrops to picturesque valleys, a river that disappears into the limestone only to reappear further down the valley and wooded slopes. Start at the visitor centre at the top of Ladybower reservoir. 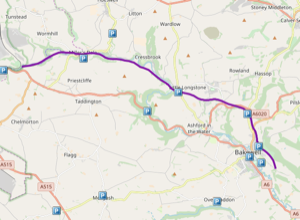 The circular route is 11 miles although it can be extended to 14.5 miles if you don’t turn across the base of the Derwent Dam but cycle down to the Ashopton Viaduct and then back up to the Visitor Center towards the end of the ride. The route is partly on road cars are excluded from using the road at weekends during the summer. There’s a wide cycle path across the Ashopton Viaduct so there’s no need to go onto A57 if you have extended the ride. 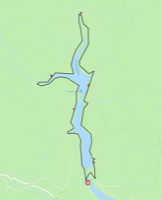 The Derwent and Howden Reservoirs were built in tandem between 1901 and 1916. The reservoir of water held by the Derwent and Howden was still not large enough, however, to support the surrounding population so the building of the third reservoir, Ladybower was started in the 1930s and completed in 1945. During the Second World War, the British identified the industrialised Ruhr Valley and its dams as a key target. They believed that if they could destroy the dams, the German war effort would be seriously compromised. The construction of the Derwent Dam was very similar to that of the German dams, so the pilots and crews of 617 Squadron used Derwent Reservoir to practice the low-level flying that would be needed to drop their revolutionary bombs. The operation to destroy the German dams became known, of course, as the Dam Buster raids. 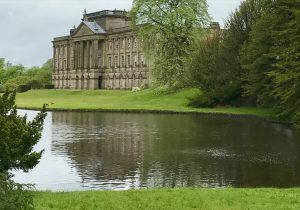 On this ride you’ll see great scenery; woodland, moorland, water and the dramatic Victorian dams. Look out for birds of prey including peregrine falcons and merlin. It’s Valentine’s Day week so we are getting all lovey-dovey this week. 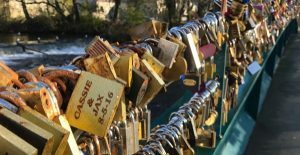 We’ve picked just a few ideas for romantic things to do locally, to set hearts swooning. Lover’s Leap in Dovedale and the stepping stones. There are several Lover’s Leaps around the county, and indeed, the country. Probably the most famous in Derbyshire is Lover’s Leap in Dovedale where, the story goes, a young woman threw herself from the promontory believing that her lover had been killed in the Napoleonic Wars. Her skirts caught a branch and saved her. All ended well when it was discovered that her lover had not been killed after all. For all that, it’s not a particularly romantic spot so we’d recommend heading toward the stepping stones that cross the river Dove just a short distance away. You may need to get there reasonably early if you are also keen to avoid a crowd (which, let’s face it, is not very romantic either). The film version of Pride & Prejudice that Keira Knightly and Matthew Macfadyen starred in also had a memorable scene set on the top of Stanage Edge, which is also a fabulous spot! Not a great place to be if the wind is howling though! Talking of rivers, we are not very blessed with rivers in the Peak District and Derbyshire. With so much limestone, most of the water disappears invisibly into the ground but there are some options! The River Wye through Bakewell is very pretty and there are several spots that you could stop for a lovely picnic within a short walk of the town centre. There are several delicatessens and bakeries in Bakewell that would sell you the makings of a delicious picnic – don’t forget the Bakewell Pudding! Our favourite and probably coolest option (no pun intended) would be to grab a blanket or two, a flask with a hot drink inside, go out after dark, look up and count the stars! We’re blessed here in Flagg with really dark night skies but there are other official ‘dark skies’ spots around the county; Parsley Hay, Minninglow and Surprise View, near Hathersage. Give us some notice and we can lay on the blankets and flask for you.